This 1984 vintage port has a good colour and a warm, soft, sweet flavour. Drink now - 2019. An ideal anniversary gift. 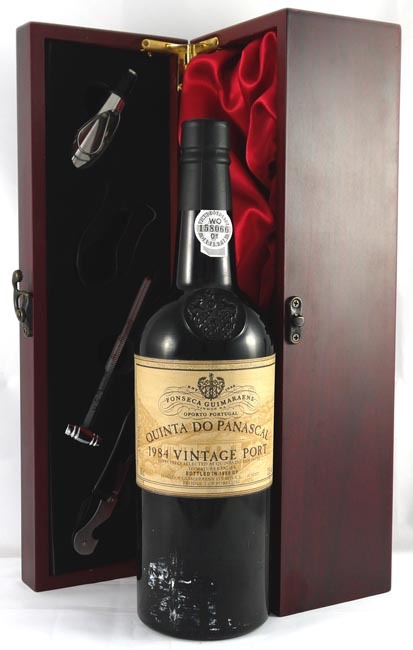 A good vintage not declared by most shippers but some excellent single quinta Vintage Ports were produced although in tiny quantities. A note from James Symington of the Symington Port Group, which owns the well known names as W&J Graham Vintage Port, Dow Vintage Port and Warre Vintage Port, stated "The made wine looks very nice and has a very nice rich purple colour."